So to start this review off, let me just say that I was not enthused to attend on Sunday. I made one two three separate posts about this con’s inception in anticipation for what might be experienced. I was still hopeful that it would be an enjoyable experience. And then I looked at Twitter. I’ll be damned. There were sad and disappointed threads detailing the lack of programming, events, exhibitors or even attendees for that matter. This morning upon waking, I was struggling to find a reason to go. The weather had turned and it was now overcast and drizzling. People were saying the shuttle bus wasn’t exactly on time or picking up many people. I googled AFNYCC to try and pull up the convention twitter handle to view the shuttle bus pick up locations again. I googled the entire festival’s name, my blog came up again…before the con’s actual info or media links. Since I wrote about it so much prior to its debut, I thought it was my civic duty to attend and document what I saw and experienced there. This is my sole reason for not just letting the con keep my $20. Good SEO practices on my part aside, this convention needs to be documented. Someone on Twitter likened it to Dashcon. I associate it in my head with The Last Airbender film. Did the fandom wipe it from their collective memory? Yes. But it also served as a basis for not forgetting what happened the first time a remake was carelessly done and spread awareness for the new live-action ATLA Netflix series coming soon. I feel the same way about this. I will bite the bullet along with other con-goers and will immortalize it here on the internet. Will they shape up next year? Who knows. But this will be here for anyone who wanted a detailed peek at what actually went down during Anime Fest @ NYCC x Anime Expo. On an unrelated note, I’ll be purchasing my weekend pass for Anime NYC this coming week. If you enjoy this convention review and would like to help me get to other cons, visit the support page to donate. Thanks and let’s begin! I arrived at the Jacob Javits Center around 9:30 am. I looked around for the shuttle buses, but seen none in sight. A man on a bullhorn was shouting directions to the comic con crowds on where to line up if they already had tickets. Once he paused for breath, I asked where the shuttle bus pick up was. I was directed to an area behind where we both stood. I waited five minutes and got antsy, as the day was overcast and there was a humid drizzle falling. I walked over to the front entrance of the convention and asked a woman donning an earpiece connected to a walkie-talkie if she knew when the shuttle bus would be coming. She had no clue what I was talking about so I explained it was for the Anime Festival. She pointed me in the direction the man had and told me it should be coming eventually, as the 9:30 am pick up had just passed. Fifteen minutes later I was tired of standing in the elements and began walking. Around 9:53 I saw a bus for the Javits Center pass me by, but I was already ten blocks away. So the bus was a thing at least on Sunday, despite what I saw on Twitter for days earlier. Even with Midtown traffic, might I make a suggestion for if this convention continues next year? Maybe it would be best to have a staff person sit on the bus to check passes and they could update the app on when they are in transit, and close to certain pickup points. It would take away a lot of the mystery of when the bus would come. Before I left, I asked those surrounding me if they knew when the bus would come and everyone had unsure or confused answers. I also took a few photos of the incoming crowds. I planned to mention in the NYCC post my troubles finding a show program that Friday. I spoke to security/ReedPop staff and asked if there were program booklets for that day. They directed me to a place inside. I explained that I did not have a ticket for that day and that I went Friday and got no definitive answers on where to find one. In my head, I came to the conclusion that they were a myth and simply did not exist. Aside from one or two people, the entire convention nobody had one out. A staff member was kind enough to reach into his own backpack and give me a booklet. I am extremely grateful for that act of kindness. I can proudly say I now have eight years worth of NYCC program booklets to remember my experiences. I know that is not what is most important, but it’s been something fun for me to do over my years of attendance. The walk to Pier 94 wasn’t completely terrible. It was just desolate and it reminded me of my walk there for Tech Day over the summer. Although I must admit, it was a bit depressing walking one way with a red colored Anime Fest pass and watching all of the green colored New York Comic Con passes continue on in the opposite direction. As I got closer to the pier, I saw about five people going to the same place as me. Security was simple to get through, and I’m not even going to lie I snagged an extra lanyard from comic con on Friday because I didn’t expect there to be any at Anime Fest. The lanyards were red promoting Dark Horse Comics. So I guess there was a bit of color coordination with each events badges — red lanyard and ticket for AFNYCC, green badge and Line Webtoon lanyard for NYCC. One of the security staff from earlier had mentioned my badge looked totally different from everyone else’s, and I didn’t understand what he meant until now. Walking into the event space, you are greeted by the smiles of the staff. Unlike comic con, it was very easy to find someone working. I had a lot of casual conversations with them along with a lot of the vendors and exhibitors. Aside from Good Smile Company, however, it doesn’t seem like any of the other power players bothered to set up additional shops at Pier 94. The Official Merchandise Shop and several vendors looked bored and were trying to commune with anyone passing by. I don’t think they did well on business due to the low foot traffic. It was a huge contrast from the main convention’s crowds. There was a well-sized gathering when I attended on Sunday, and the Autograph Signing for Cowboy Bebop even had a looping line. One of the two English translators with the production staff was Dr. Mari Morimoto, a veterinarian and real power player in the Japanese translation game. I’ve crossed paths with her at past con events (Kishimoto at NYCC) and at my old place of work. She recently had a lecture at The Japan Foundation’s The Nippon Club earlier this October that I tried RSVP’ing for, but never heard back for some reason. As for the convention floor, I took a few photos of the infamous “Aladdin Rug”, bamboo tatami mats, parachute game, and a few other things. I think this is where the problem lies with many con-goers who went to this event. Eavesdropping on conversations, some people were really excited about this it. They had never been to Comic Con or an actual dedicated anime convention. Many had brought small children or tweens who seemed to really enjoy the activities there. However, they are unaware of how anime conventions are ‘supposed’ to go. Given the names attached to this poorly and hastily thrown together convention (New York Comic Con, Anime Expo, a good handful of the major Exhibitors like Funimation, Viz Media, Crunchyroll, Vertical/Kodansha, etc. attending the main con) it was a complete fail. It seemed like a small town non-profit convention that had no access to any Japanese culture or talent nearby. Only thing is, this is Manhattan. I worked in Midtown East for a while where all of the Japanese businesses and companies reside. I know firsthand just how strong and alive the Japanese and Japanese-American community is in this city. That’s not even factoring in other boroughs. 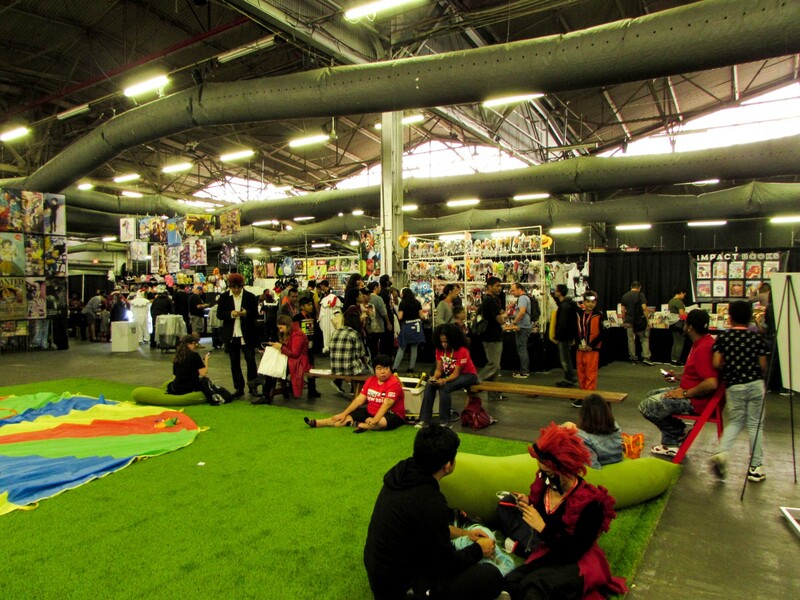 In its haste, the convention didn’t seem to partner with any of the smaller or local facets like Anime NYC has successfully done. This is why we saw Chinese animation vendors, random tiered merchandise, and other things you would not normally expect at a for-profit convention with status associated with it. Then again, NYCC has never done anime well. A fact I’m glad no one has forgotten, again consoling me when I overheard conversations about this as I perused the convention. But it was not all bad. A lot of talented Artist Alley residents were gypped, and deserve a bit of spotlight. A lot of the normal vendors were really nice people just trying to manage a badly dealt hand. No one seemed outwardly bitter. The Taiwanese Cultural Center in New York was in attendance promoting some cool animated content they had coming up. I spoke about one event they were associated with earlier this year. All in all, it wasn’t a completely bad experience. Would I pay to attend again next year? Absolutely not. Is it worth the $20 price tag as-is right now? No. But don’t take my opinions to heart, as everyone will have their own interpretations of things and events. What sells me on any event is quality, effort, and people. The people were really nice, however, there was no effort put into this “con” and because of that, the quality of what could have been a blast off first year ultimately failed. This is especially true since the fanbase is literally there, but for some reason, the convention couldn’t cater to them even with all of those feedback surveys Comic-Con regularly does. It’s amazing. Let’s hope ReedPop takes the general consensus’ feedback and shapes it into something malleable that everyone can one day enjoy. 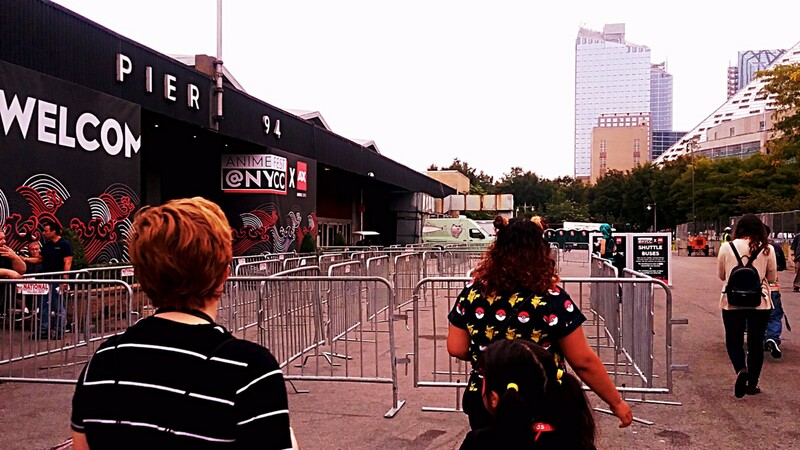 Did you attend Anime Fest @ NYCC? How did you feel about the buzz online surrounding this event? Can they do better next year? How? Leave your thoughts in the comment section below, I’d love to hear from you! Also be sure to follow us on Twitter, Reddit, and Instagram for more convention reviews and news!